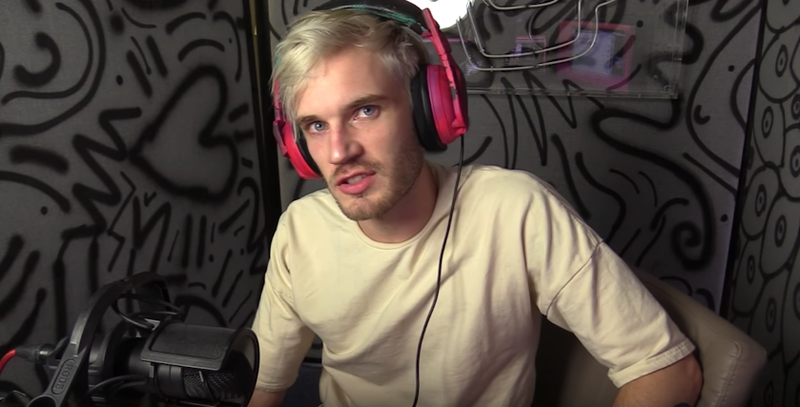 A month after YouTube’s biggest star uploaded a video containing the phrase “Death To All Jews,” the service that once hosted that very content is distancing itself a bit from Felix Kjellberg. Taken together, both of these repercussions will have some kind of effect on Pewdiepie’s actual income, though he will still be able to monetize his videos through normal means on YouTube. In the past, Kjellberg has said that his normal income-per-view on YouTube is low because his brand of ‘edgy’ humor also limits the advertisers that YouTube makes available to him. “My content is not necessarily family friendly, it’s got a bunch of profanity,” Kjellberg said. YouTube’s decision follows the news that Maker Studios, a division of Disney, also cut ties with Kjellberg over videos with anti-Semitic jokes. The most infamous video had Kjellberg paying a pair of men to hold up a sign that said “Death To All Jews,” though he has been known to jokingly reference Hitler and Nazis in plenty of other videos as well. It blew up to the point where Kjellberg accidentally started garnering support from real neo-Nazis. Scare Pewdiepie season two was announced last year as a collaboration between the executive producers of The Walking Dead, as well as Maker Studios—the latter which might explain the sudden cancelation. The first season is still available online. Many of the videos that sparked the nazi controversy, however, are no longer available.